CO2 at atmospheric pressure is a colourless, odourless and electrically Non-Conductive inert gas. It has high expansion ratio, which facilities rapid discharge and allows three dimensional quick penetrations in the entire hazard area. Made from premium components, this CO2 Gas Flooding System’s importance lies in the fact that it has high efficiency to extinguish fire by reducing the oxygen content of the protected area below the point where it can support combustion. This CO2 Gas Flooding System provides a blanket of heavy gas that reduces the oxygen content of the atmosphere to a point where combustion is not sustainable. Modern, more efficient equipment makes use of carbon dioxide to displace intra cardiac gases in a safe procedure. The carbon dioxide field-flooding technique is safer, easier, and more efficacious than tradition. Used for machinery spaces, pump rooms and cargo holds, the CO2 by suppressing the oxygen content in the space. 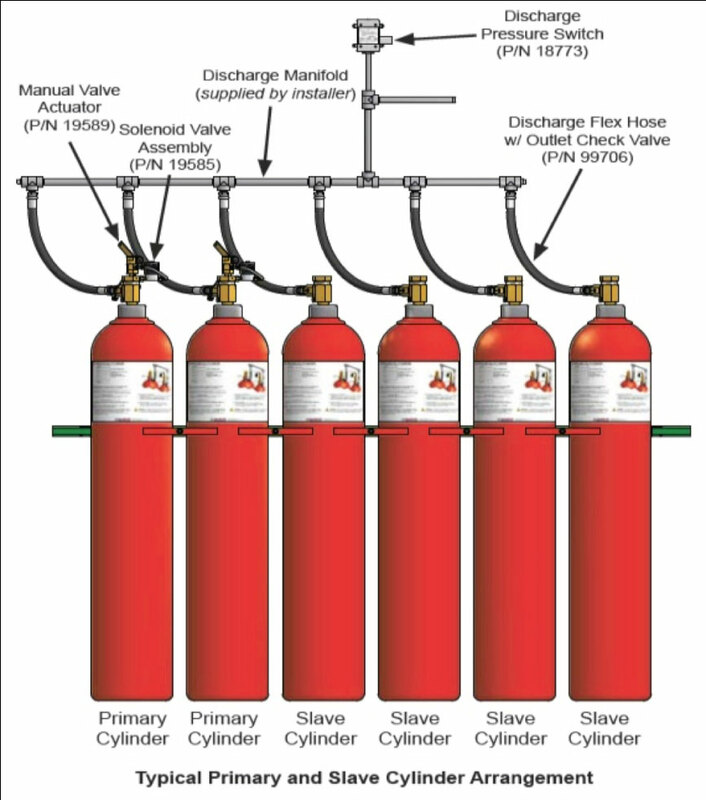 From main distribution valves, a piping system is used to distribute the gas to the discharge nozzles, which are placed uniformly throughout the protected CO2 extinguishing system is a total flooding system designed to use in engine rooms, pump rooms and cargo holds. It extinguishes fires using CO2 by suppressing the oxygen content in the space. • CO2 gas is cost effective.